Quite a number of tech hubs emerged during the later stages of 2013. Mostly centered around Zimbabwe’s capital, the so called hubs have been visible in the media and social media platforms but recently, questions have been asked on what exactly they are bring to the ecosystem. Granted, none of the Hubs or incubators are over a year old so it would be premature to offer a verdict on their performance. In fact, from my conversations with some of the leaders in these organisations, it’s apparent that they are all making baby steps navigating their way around Zimbabwe’s infant startup ecosystem locally. However, true as this may be, there are some glaring signs that although they are all navigating the same terrain, patterns are starting to develop as each innovation center develops it’s own DNA. In this 3 (maybe 4) part series, we will try to identify and outline the main characteristics of each hub or incubator and this we hope, will help startups streamline the hub(s) that would be the perfect fit for their startup needs. Muzinda-Umuzi is a hub funded (founded is also an option) by Higher Life Foundation, an NGO that has strong ties with Econet Wireless. With such strong backing, Muzinda has been able to host several coding-centric events which have not been well publicised and to a greater extent poorly attended. Responding to questions from Techzim, Tawanda Kembo, Muzinda-Umuzi’s Technical Coordinator acknowledges this, but equally dismisses the sometimes overstated significance of hackathons to Muzinda-Umuzi’s strategy. This is a clear departure from Kembo’s earlier remarks defending the hosting of Hackathons during weekdays instead of weekends. It was apparent then that to them, the poorly attended Hackathons were Muzinda-Umuzi’s “baby” that we all had to live with as one commentator said in response to Kembo’s remarks. However, this new view probably suggests a more narrowed down approach from Muzinda-Umuzi were they will focus on particular startups. As a non-profit, It’s difficult to see Muzinda-Umuzi dishing out funds to startups but as Kembo said, skills will be their focus, probably because therein lies their strength. The wholesome approach to entrepreneurial training is definitely important for tech entrepreneurs who sometimes place technical ability above business acumen. Key to this area is Kudzai M Mubaiwa, Muzinda-Umuzi Hub’s community manager. I have had an opportunity to hear her speak at the Zimbabwe Youth Council and she displayed a lot of knowledge on starting a business – especially the bootstrapping kind of startup. Historically, Muzinda-Umuzi’s training has been focused on technical skills (as far as Hacks are concerned), but in Kudzai Mubaiwa, they also have great capacity in general entrepreneurial training. Having previously worked with the Zimbabwe Youth Council (remember the youth loans), she already has an idea of working with youthful entrepreneurs and their unique bootstrapping needs. Given her current role as community manager at Muzinda-Umuzi, there is a possibility that her entrepreneurial training skills have not been fully utilised. But that’s the Muzinda-Umuzi of the early days, they are changing course and it’s great that they are doing it now before they had established roots in a non-performing system (Hackathons) – at least in the eyes of external observers. Given that they just recently moved into permanent offices, they may just have an opportunity to start afresh. Their non-profit status as Kembo puts it, “allows us to focus more on developing the ecosystem without worrying about making a profit”. But is there much motivation without profit? Well, ecosystem development from Muzinda-Umuzi in the form of skills training (hopefully all aspects of entrepreneurship) will be definitely be profitable for the ecosystem as a whole and the startups that fall under it. 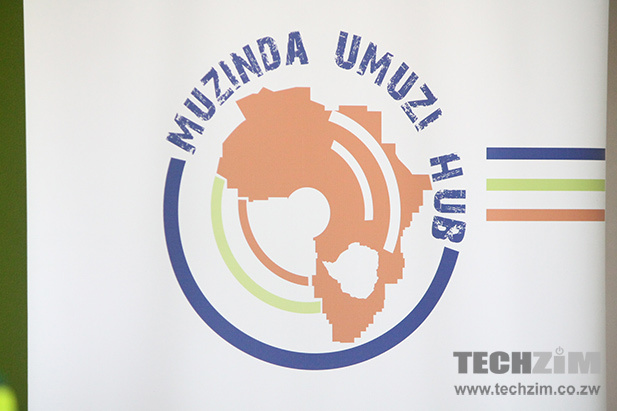 Muzinda-Umuzi hub is responsive and flexible. They probably have the brightest brains in entrepreneurial training in Kudzai Mubaiwa but don’t expect funds to flow into your startup from this center. Tawanda Kembo said, “People still think that without funding they can’t get traction” which to me is an indirect way to say they will help startups work around the funding issue. Definitely the place to be for skills development and mentorship – which a lot of young startups need more the cash. thats very impressive… this very great for young computer scientists like us to present as well as sharing various techy ideas..